New to sports nutrition and wondering what you should be taking? 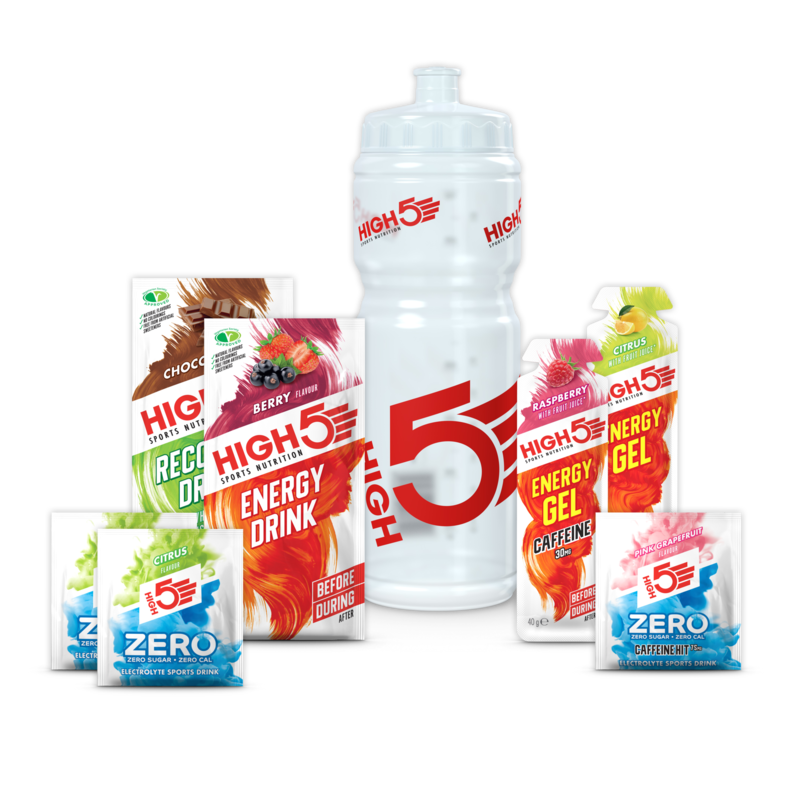 The HIGH5 Starter Kit contains a selection of best selling Energy, Hydration and Recovery products to provide you everything you need to fuel and recover from a training session. This pack is suitable for vegetarians and contains an assortment of bestselling flavours. For nutritionals and allergen information, please visit the individual product pages on the links above. Please consider the environment and keep the countryside clean by taking your empty wrappers with you after use.